In any bandwidth and without image degradation or pixelation, the powerful back cameras of mobile phones and tablets deliver live high-resolution video and still photos to a web browser, enabling doctors and nurses to quickly and clearly see and understand a patient's condition remotely. Quick access to hi-res images of a patient condition are easy with telmedx. A doctor or nurse on a web browser can remotely capture hi-res photos while viewing a live video feed. Multiple doctors in different locations can watch the same live video and capture their own still photos, making specialist consults seamless. 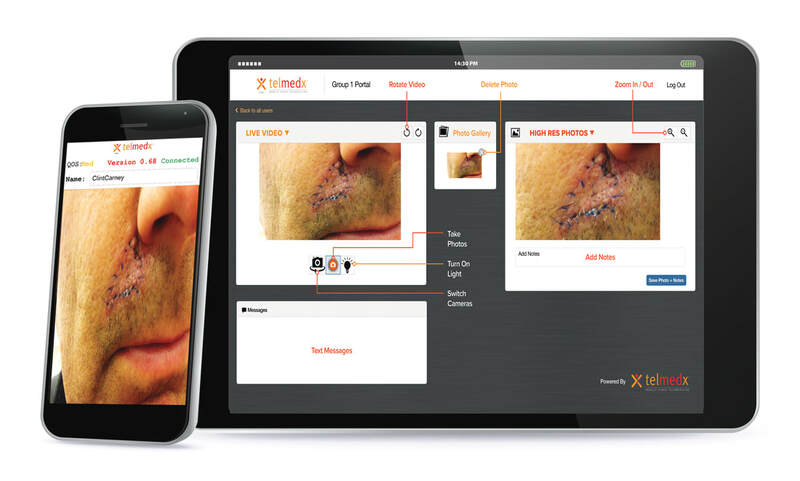 Managing care for more patients in less time is one benefit of the telmedx platform, and no new equipment is required. Unnecessary and avoidable Emergency Room and other facility visits are re-routed or managed at home, and preventable hospital readmissions are more closely monitored with telmedx virtual consults. The telmedx platform complies with HIPAA, HITECH and EU medical privacy standards. 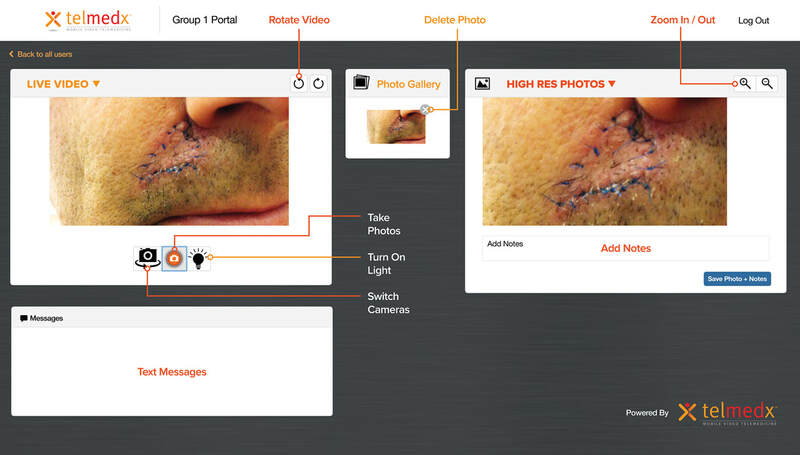 No photos, video, notes or text messages are saved on mobile phones or on the telmedx server. Hi-res video and still photos are delivered in a live feed to a web browser. 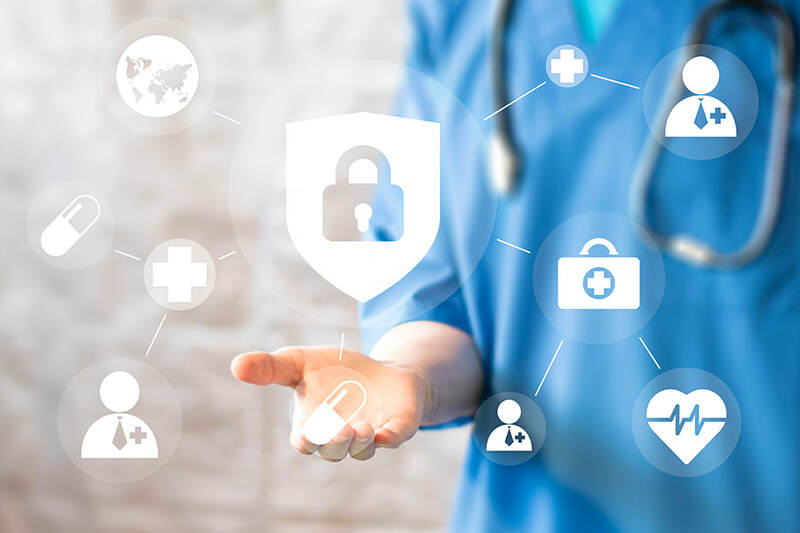 The telmedx platform maintains the same level of security as international financial transactions.